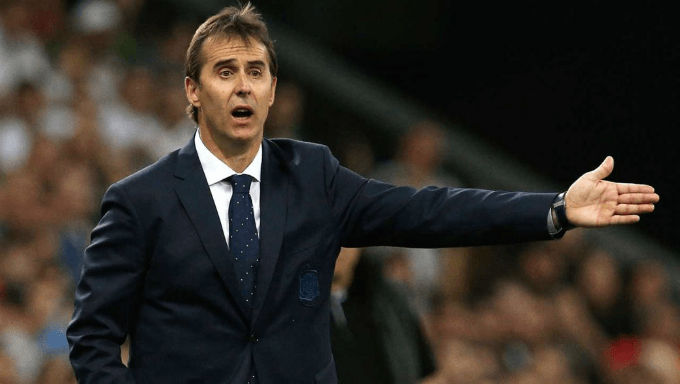 Will Lopetegui Exit Cause Spanish Downfall at the World Cup? Surprise news came out of the Spain camp on the eve of the World Cup, which was Luis Rubiales, the RFEF president, informing the public about his sacking of manager Julen Lopetegui after holding an emergency press conference. The shock announcement has seen prices at top soccer bookmakers widen throughout the day. 24 hours earlier, it had become apparent that the Spanish coach was to take up the managerial post at Real Madrid when the country’s participation at the World Cup had come to an end in Russia. Reportedly, Rubiales had only been informed by Madrid president, Florentino Pérez, five minutes before the official announcement. While it came to a shock to many, and for sporting reasons it could be Spain’s downfall, Rubiales had a strong point in suggesting that this was not the way negotiations should be made in any scenario, let alone so close to the major tournament getting underway. It had surfaced that Lopetegui was approached by Madrid last week with the deal being wrapped up after the weekend. Without a word to his current employers until moments before it was being made common knowledge to the public, Rubiales was rightly aggrieved at the situation and felt that they had gone behind his back. There was no other choice but to part ways, in the eyes of the RFEF president, even with La Roja’s opening match so soon. What might seem the only decision that Rubiales could have made on the eve of the World Cup, it is likely to destabilise players inside the camp. Sergio Ramos, along with other senior members of the Spain squad, were said to have fought Lopetegui’s corner in trying to persuade Rubiales out of sacking him. Those efforts were, in the end, fruitless, which suggests that certain players - notably of Real Madrid, where Lopetegui will go next - might be somewhat disappointed and distracted with the unfolding events. Spain’s current sporting director, Fernando Hierro, has been announced to take over from Lopetegui for the meantime and will be in charge of guiding his country through the tournament. Given Hierro’s last management job was in Spain’s second division with Real Oviedo during the 2016/17 campaign, Portugal (and soccer betting fans) will surely be licking their lips at coming up against a fractured rival in their opening match. Even if on paper it was the right decision moving forward for Rubiales to sack Lopetegui, the timing could not have been any more ill-judged. With the camp now split over attempting to keep him for the tournament, it is going to be increasingly difficult for either Hierro to pick up the pieces and keep morale high. It will be chaos inside Spain’s camp right now. With Portugal, Morocco and Iran accompanying them in their group, it is not as straightforward as La Roja would want it to be in reaching the knockout rounds. Tipped as one of the outstanding favourites for the tournament, their odds are already widening. From 6/1 earlier in the day, Unibet now have them priced at 13/2 to be crowned champions this summer. Their chances are only going to become slimmer if they fail to beat Santos’s players on Friday evening. There is no doubt about it that Spain have the individual quality to ease the pressure somewhat and win their opening few games, but World Cups are seldom won by singular moments of brilliance. In 2010, when Spain last won the major honour, they pulled through as one with their dazzling and sensational style of soccer. It was all about the collective unit of the team who played as one, not individuals trying to do everything themselves. La Roja have an uphill battle ahead, but it is not impossible to imagine a scenario in which they reach the business end of the tournament. Players have to put their personal feelings aside at a time like this and rally around their new manager. Hierro, for his lack of managerial experience, has at least been around the Spain camp for the past 12 months, and so will presumably carry Lopetegui’s philosophy forward during the next four weeks. The World Cup could quite easily swallow Spain up, just as it did in 2014, but Hierro will hope his players, and the nation’s supporters, can put this debacle to one side and carry on as if nothing has changed.